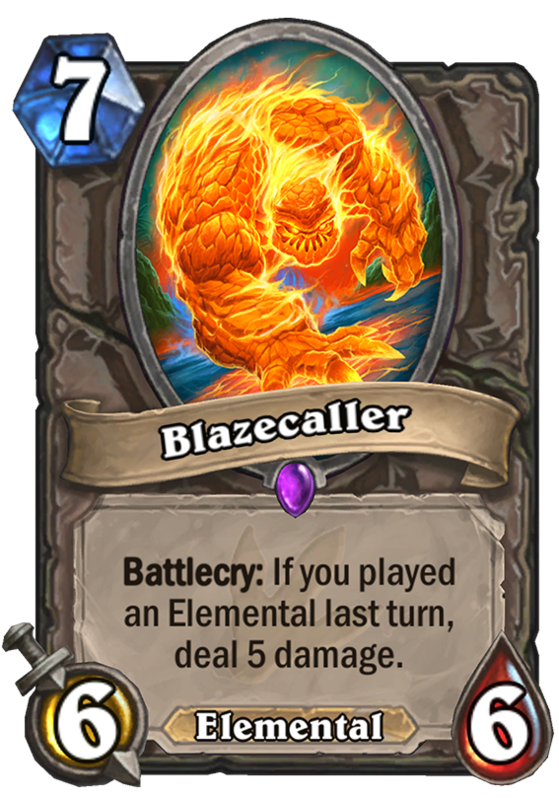 Blazecaller is a 7 Mana Cost Epic Neutral Minion Elemental card from the Journey to Un'Goro set! His flavour text should be, ” I eat Ancient of Wars for breakfast”. Besides the obvious massive value of this card, Elemental Shaman now has 28 face damage rolled into 6 massive drops (2x Fire Ele 2x Blaze, Kalinos & Al-Akir) that are all on curve of each other. I think this will slaughter Jade Druid in the midgame. It’s only OP in elemental decks, and it won’t mess up arena being epic, moreover, I don’t think it’s going to be that easy to pull off, since you basically have to save cards to play on a curve. You lose a lot of tempo if your hand is not “just right”. 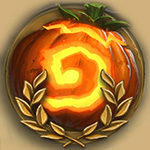 Still , elementals is the new dragon. Well at least it’s epic so it won’t destroy arena like firelands portal. 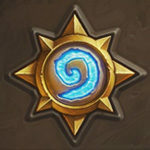 Seriously Blizzard devs are In a downward spiral at this point. Indeed. It’s not just a 6/6, but also an Elemental, so you get the “If you played an Elemental last turn” synergy. Still, it’s only worse than Firelands in Arena, where you would need a fairly decent amount of Elementals to pull this off.